- Lightweight front conventional high clamp band mount Dyna-Sys11 11 speed double MTB derailleur for smooth gear changes. 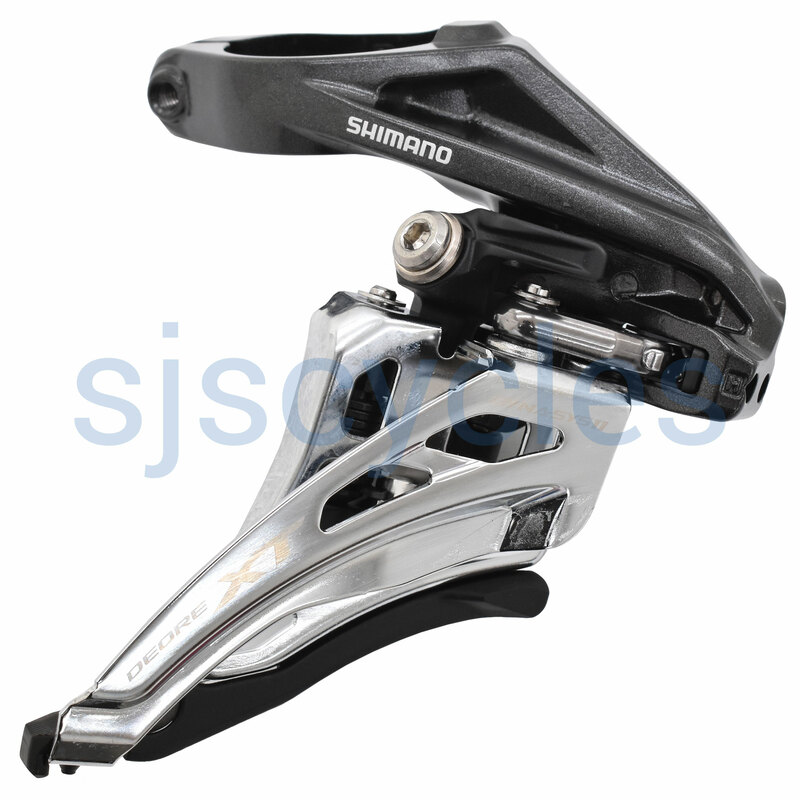 - Designed specifically with modern trail bikes in mind, Shimano XT side swing technology front derailleurs increases tyre clearance by 15mm, while new cable routing resulting in the lightest shifting action yet. - Side pull cable routing. - Reinforced light weight chain guide adds rigidity & improved response. - Wider pivot link increases torsional rigidity. - Easy access angled adjustment screws & clamp bolt. - Angled inner chain guide tail for increased tyre clearance. - Dyna-Sys11 11 speed design - for use with Dyna-Sys11 11 speed MTB drivetrains. - Developed specifically for double chainsets & frames with band on frame design. - Comes with high band clamp & necessary shims for all band dimensions. - Specifically developed for 68 & 73mm bottom bracket shells with a 48.8mm chain line. - 66-69 degree chainstay to seat tube angle range. - 34-38 tooth outer ring compatible.